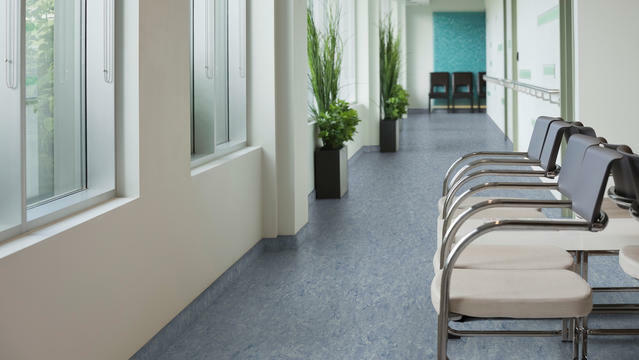 One of the most natural and sustainable flooring solutions on the market, Tarkett linoleum has been appreciated for its beauty, comfort and durability for over 150 years. Our Veneto xf²™ (2.0mm) collection is made from 94% natural raw materials and is available across a range of traditional marbled patterns in vivid and deep colours. It is treated with our unique xf²™surface protection for extreme durability, easy cleaning and cost-effective maintenance. Watch our video on Linoleum, its rich history and heritage, sustainable DNA, and beautiful contemporary colors that make it inspiring for all.